This study sough to determine the psychological and behavioural factors contributing to the incorrect diagnosis of urinary tract infection in older adults and identify potential interventions that can address the incorrect diagnosis of urinary tract infection in older adults? 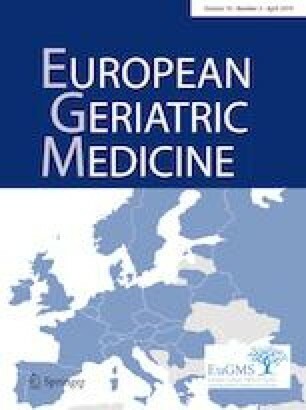 The findings were that the misdiagnosis of UTI, particularly in older people, is driven by complex, interconnected psychological and behavioural factors, such as lack of knowledge on the role of urine dip testing, bias towards older people, automatic testing, time and resource constraints, pressures from peers and patients and legal pressures. Developing interventions that address the disconnect between knowledge and practice by encompassing both psychological and behavioural factors may improve patient safety and staff satisfaction. Urine dipstick testing in the ED is often misinterpreted, leading to misdiagnosis which may then impact negatively on patient safety; the reasons this knowledge-practice disconnect exists are multi-factorial, but psychological and behavioural factors play a significant role. Systematic approaches incorporating these factors can potentially improve patient safety, efficiency, costs from unnecessary testing and staff satisfaction. The aim of this study was to identify the psychological and behavioural factors influencing clinicians managing older people with possible UTI in urgent care settings, and to develop an improvement roadmap. Michie’s behaviour change wheel and COM-B (Capability, Opportunity, Motivation, Behaviour Change) models were used as the theoretical basis for this study. Semi-structured interviews were undertaken with 21 purposively selected medical and nursing staff in a large urban emergency department in the East Midlands, United Kingdom. Analysis was informed by the framework approach. A participatory design approach was used to develop an improvement roadmap. Key themes emerging from the semi-structured interviews included lack of knowledge on the role of urine dipstick testing, bias towards older people, automatic testing, time and resource constraints, pressures from peers and patients, and fear of the legal consequences of inaction. A thematic networks map indicated complex interactions between psychological and behavioural factors. Among more than 50 different intervention ideas identified by the workshop participants, two interventions were prioritised for implementation: i) controlling the use of dip stick urine tests; ii) providing individualised feedback to staff regarding the outcomes of patients diagnosed and treated for UTI. Psychological and behavioural factors play a significant role in the misdiagnosis of UTI in older people. Systematic approaches incorporating these factors might improve patient outcomes. Future studies should focus on implementation and evaluating their effectiveness and sustainability. We are grateful to the staff (interviewees and stakeholders) who invested their time to discuss this issue, as well as to the follow colleagues who supported the project at various stages: Dr Natasha Lander, Dr Amelia Bull, Dr Kate Russ, Dr Emma Zain, Dr Muzamil Abbas, Dr Syed Babar. The project was funded by the British Geriatrics Society (BGS) via a Specialist Registrar Start-up Grant. Carvalho was funded by the Science without Borders programme (CNPq Brazil). The funders had no role in the study design, the conduct or the reporting. The interview study did not require ethical approval (following discussion with the UK National Research Ethics Service) but it was registered with the National Institute for Health Research Coordinated System for gaining NHS Permission (reference 183694). Ethical approval for the phase “Stakeholder workshops—intervention development” was obtained from Loughborough University. Are people aware that UTI misdiagnosis is an issue that needs attention? Do people believe that not addressing the UTI misdiagnosis issue may have negative consequences to patients and the public (value-based arguments), as well as budgetary costs for the system (health economics arguments)? Do people know what they need to know about UTI diagnosis/treatment, and know how to do what they need to do? Do people believe that their actions and behaviours can help changing the outcomes? Are the social, organisational, and environmental conditions in place to support the necessary changes? Is there a clear strategy to tackle the UTI misdiagnosis issues with specific actions assigned to each group of professionals/stakeholders? Are people taking the right actions according to the agreed-upon plan? Are people getting continuous feedback on the outcomes and impact resulting from the interventions and receiving additional support where needed?